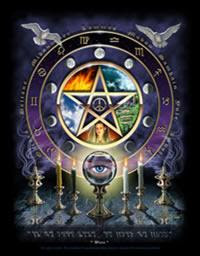 Tarot is a deck of 78 cards which have beautiful symbolic pictures, used as a tool for spiritual introspection. The cards are reflection of your own life. It‘s a very practical problem solving tool which can not only used for fortune telling but also helps in self-improvement. It’s simply divine. What’s the origin of Tarot? What does Tarot deck consist of? Major arcana consists of 22 cards and symbolizes the journey of the “Fool” from being a young naïve adventurous person to the “World” card where he is in oneness with the cosmic world. Why are there so many different cards? Symbols in the cart are the creative representation by the artist. The art world is based on diverse themes and interests from voodoo to mythology to modern to games. Also there are decks to do specific kind of introspection like spiritual or money related or love related etc. Pick the card with which you can relate most with, feel the cards and be with them. Keep them next to your bed while sleeping. See if you can communicate with them.